Kids naturally want to learn. It doesn’t matter WHAT we teach them, they love to learn. Kids are naturally curious. And, unless we squash that desire, they will do their darnedest to learn. Parents and teachers alike are nodding your heads at this, you know what I’m saying. 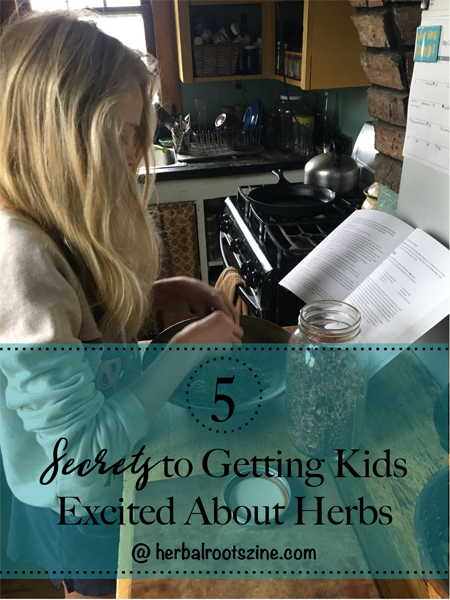 So, if you want them to learn about herbs, all you need to do is use them. Apply herbs to your everyday life. 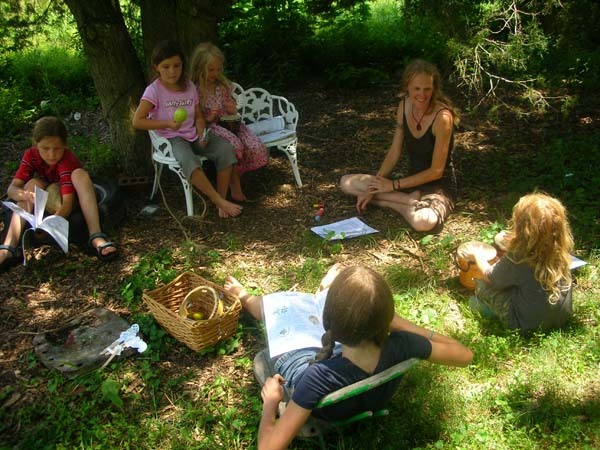 Whether you homeschool, public school, private school, unschool or any other type of school or non-school, just bring herbs into your every day life…..
–FOOD: Hippocrates said: Let your food be your medicine and your medicine be your food. Has anyone ever said it better than that? Any time you can add herbs to your food, do. Garlic. Thyme. Sage. Rosemary. Onion. Parsley. Nettles. And so on. –MEDICINE. Start with easy things. Plantain for bug bites, stings, cuts. Simple poultices are easy and effective. 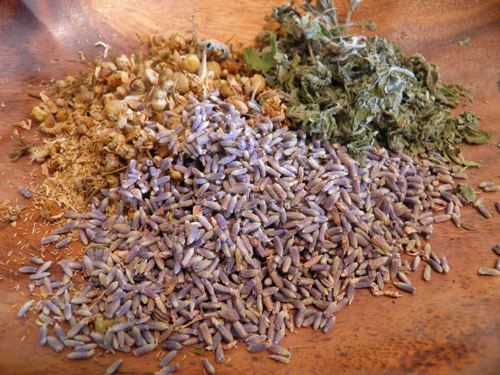 Work your way up to salves, tinctures and other herbal remedies. –GAMES. John and Kimberly Gallagher created Wildcraft! 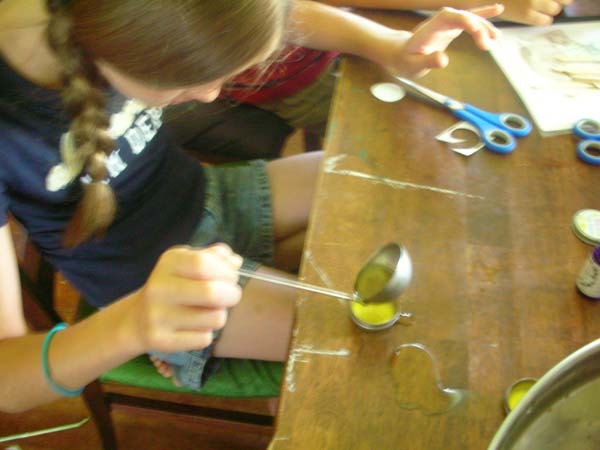 several years back and it really is a fun game that kids love to play and naturally learn about herbs while they do it. 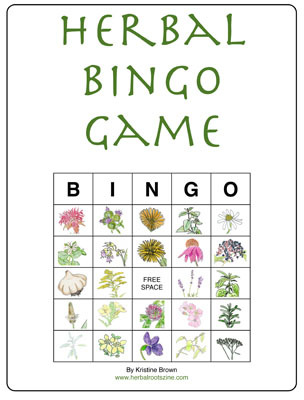 On my website, I have a free downloadable Herbal Bingo game that you can print and play bingo with. 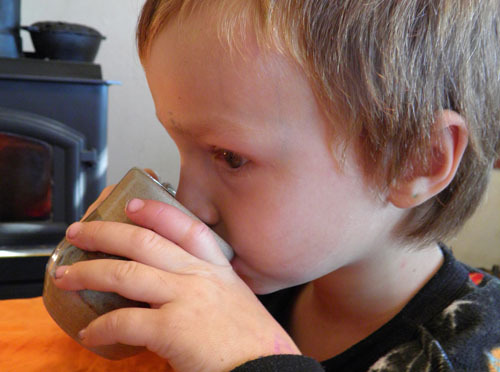 It’s a great way to teach kids about herbs and get them curious about what those herbs can do. If you haven’t already, check out my website, it’s full of resources for games and activities for teaching kids about herbs. Kids have a natural desire to learn. As long as your nurture that desire, they will continue to want to learn about the natural plant world around them. 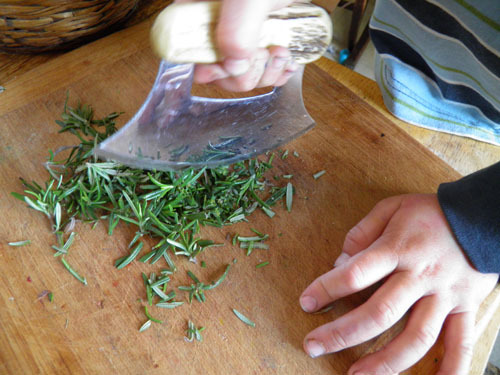 What do you do to teach your kids about herbs? What ‘secrets’ have you discovered in getting them excited about herbs? Let us know at our Facebook page, we’d love to hear from you! 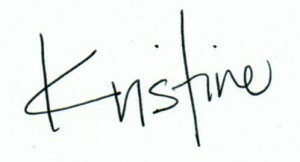 This entry was written on August 13th, 2014 by KristineBrown and filed under Uncategorized.